Direction (1-3): Read the following information carefully to answer the questions that follow. Rajesh leaves his home and goes straight 20 meters to point P, then turns right and goes 10 meters to reach point Q. He then turns left and goes 30 meters to reach point R and finally turns right and starts walking. Q1. If Rajesh is finally moving in the south direction, then in which direction did he start his walk (Journey)? Q2. What is the shortest distance between point P and point R? Q3. 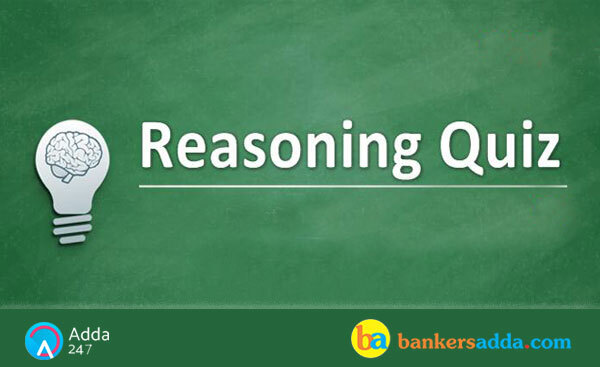 What is the shortest distance between point Q and Rajesh’s home? Sol. Rajesh started walking towards east. Directions (4-5): Study the following information carefully and answer the questions given below. Raj, walked 30m towards North and then took a right turn and walked 20m. He again took a right turn and walked 30m. Finally he took a left turn and after walking 10m reached his home. Q4. In which direction Raj’s home is located from the Raj’s starting point? Q5. What was the total distance covered by Raj to reach his home? Q6. If distance between points P and D is 8 m, P$D, P%B, find the distance between points P and B? Q7. Given that L @! A, and L $ C, find the distance between points L and C? Q8. If K@C, then which of the following is definitely false? Q9. If distance between points D and F is 6m then what will be the distance between A and C? Q10. If distance between points B and E is 4 m, find the shortest distance between point A and point D? Sol. P $ D means P is to the north of D at a distance of 8 m and P%B means P is to the west of B, so from these condition distance between A and C will be 8 m and A and P is 4m and P and B is 4 m.
Sol. L @! A means L is south of A at a distance of either 3m or 8 m and L $ C means L is the north of C from both the condition distance between A and L is 3 m and L and C is 5m. Sol. K@C means K is to the south of C, and option d is definitely false as B$%K means B is to the north west of K which is definitely false as B is to the north east of K.
Sol. As DF=6m then distance between AC will be 3m because distance of BE will be either 4m or 9m. If AC= 8m then the condition will not be satisfied. Direction (11-12): Study the following information carefully and answer the questions given below. Harsh started walking 2km in south direction then takes three consecutive left turns and walked distances 3km,4km,5km respectively. Q11. What is the direction of Harsh’s initial point (position) with respect to his final point? Q12. If Harsh walks a distance of 2 km towards south from his final position, then what is the shortest distance between his new position to his initial position? There are AB axis in such a way that A is in north and B is in south direction. There is XY axis in such a way that X is in west direction and Y is in east direction. AB axis and XY axis intersect at a point Q in such a way that AQ is 14m, QB is 25m, QX is 23m, QY is 18 m.
While facing towards south direction at point A, Rajesh takes right turn and walks 15m and then he takes left turn and walks 24m and reached to point C. While facing towards north direction from point C, Rohit takes right turn and walks 33m and reached at point D.
Q13. Point X is in which direction with respect to Rajesh’s final point? Q14. Point D is in which direction with respect to Rohit’s starting position? Q15. What is the distance between point D and point Y?